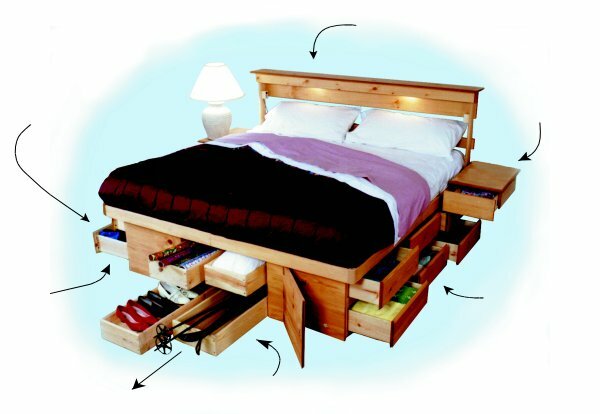 Way to Add Storage to a Home! 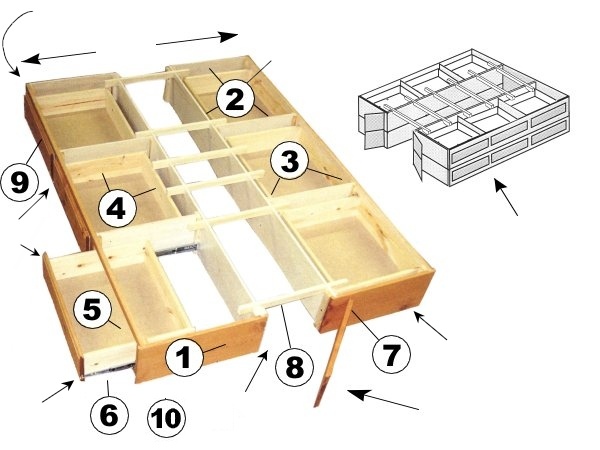 The 16-drawer Bedroom Organizer™ shown below is equivalent to three large dressers! 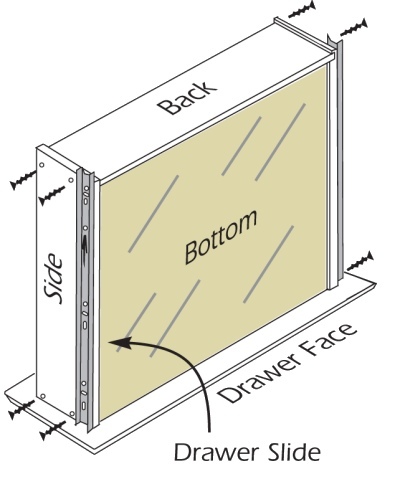 The side drawers pull completely out of the dresser on ball-bearing drawer slides for easy loading. Also, the drawers are much deeper than standard dressers. They hold stacks and stacks of clothing. 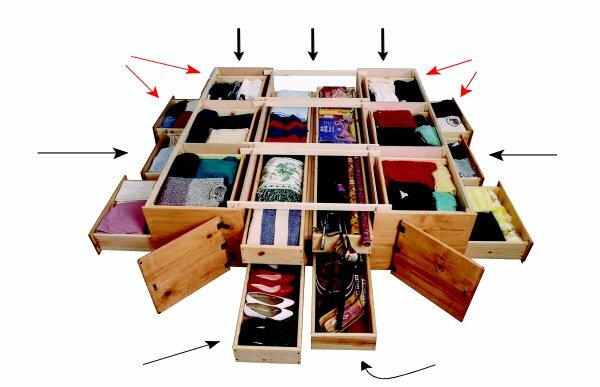 The optional end drawers (pull out 4-1/2 feet) hold long, bulky, odd shaped items that are difficult to store, such as pillows, blankets, shoes, wrapping supplies, bedding, guns, sporting equipment, etc. Drawer Parts: Finely Sanded 3/4" Solid wood. 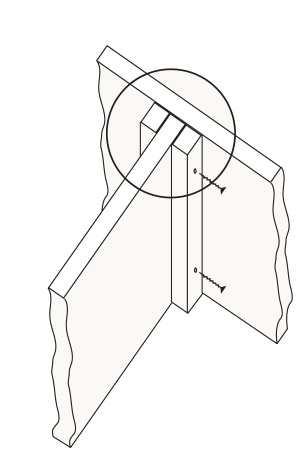 All joints have 2 screws. CAUTION: Be aware of counterfeiters that have unlawfully copied our products, using pictures and written material to deceive you. They use inferior materials, such as vinyl covered fiberboard, and cheap euro drawer slides. They have very short return policies to prevent product returns, and have short warranties. They have no testimonials to show you. Dissatisfied customers are unable to return their products, due to short return time limits and high return freight and restocking charges. Also, they are not manufacturers. They have no factory. Most are importers. If you're making a large investment . . . don't be fooled. Our products are guaranteed to last your lifetime! Don't Be Fooled by a Sales Person! Spring Mattresses When your body's shape presses down into a spring mattress, painful pressure points that can cause backaches, sore joints, headaches, numbness, stiffness and constant tossing and turning can be produced. Obviously, this "one mattress fits every sleeper" design can't work because every person is different! 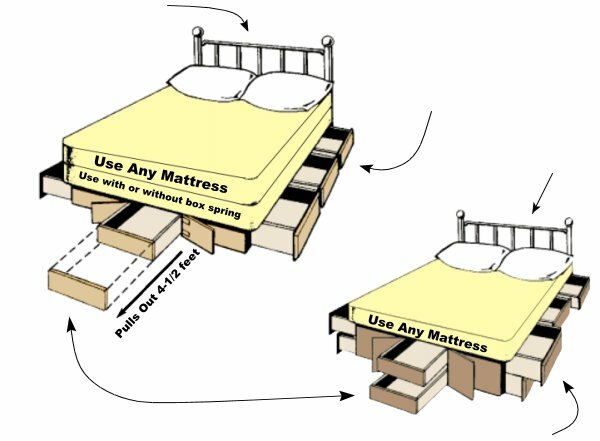 A spring mattress "one mattress fits every sleeper" design produces pressure points that cause constant tossing and turning. Air mattresses have adjustable firmness, but they do not adjust perfectly and evenly to a sleeper's shape like a memory foam mattress does. Therefore, they don't eliminate pressure points. Memory foam layer is compressed against a firmer surface. This causes the memory foam to "thin out" at critical areas, causing pressure points. Also, its firmness cannot be adjusted for each sleeper like an air mattress can. It reduces, but does not eliminate pressure points. 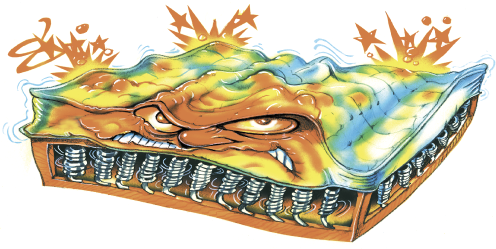 A foam mattress, when compressed from a body's shape and weight. "condenses" (thins out), greatly reducing its comfort. Our state-of-the-art mattress combines both the air mattress and memory foam mattress technologies into one incredible mattress to produce the world's most comfortable mattress. It can also sell for thousands less! Pure Health's® combination of memory foam and "adjustable air" are the perfect solution for Pure Health® comfort! No other mattress has all the features of the Pure Health Mattress!